The first full month of the year is already over, how are you doing with your healthy eating plans? Are you already bored with the same old, sometimes bland healthy meals and salads? 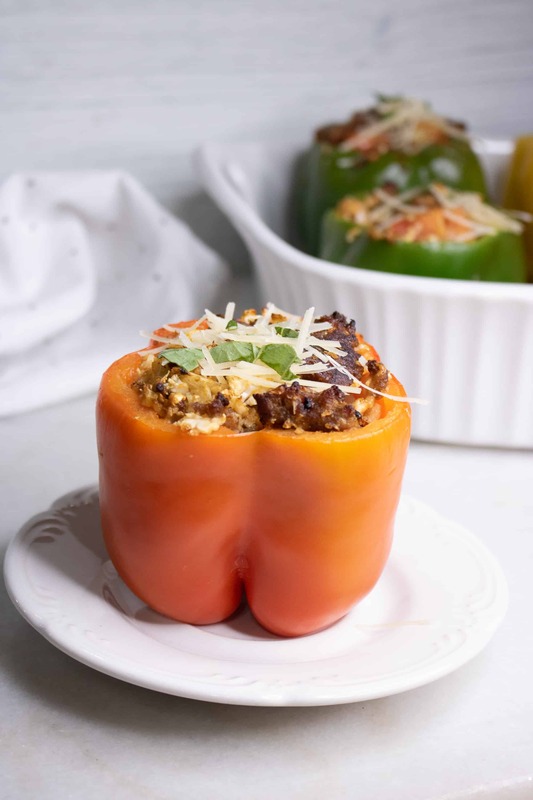 Well, get ready to shake things up with this absolutely mouth-watering and flavorful one dish meal! 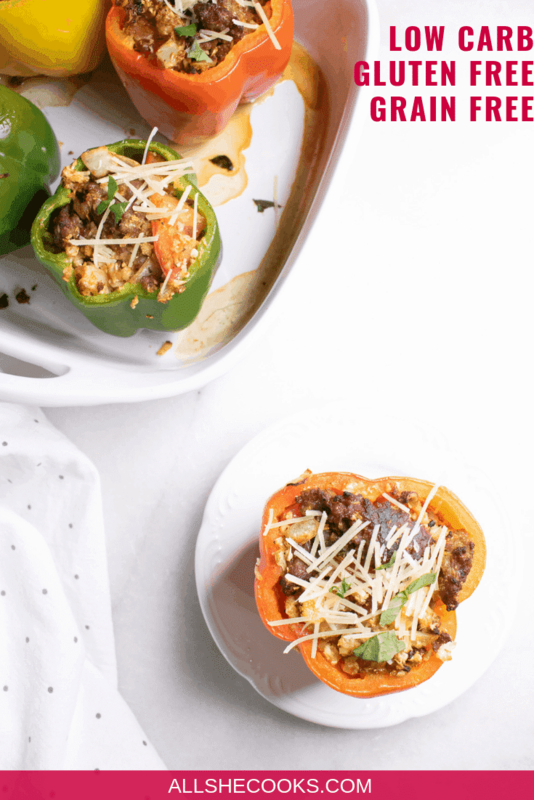 Italian Sausage and Cauliflower Rice Stuffed Peppers are going to be your new favorite meal. It is super healthy for you and prep time is less then 15 minutes! You can throw this dish together after a long day at work and be sitting down to eat in no time! 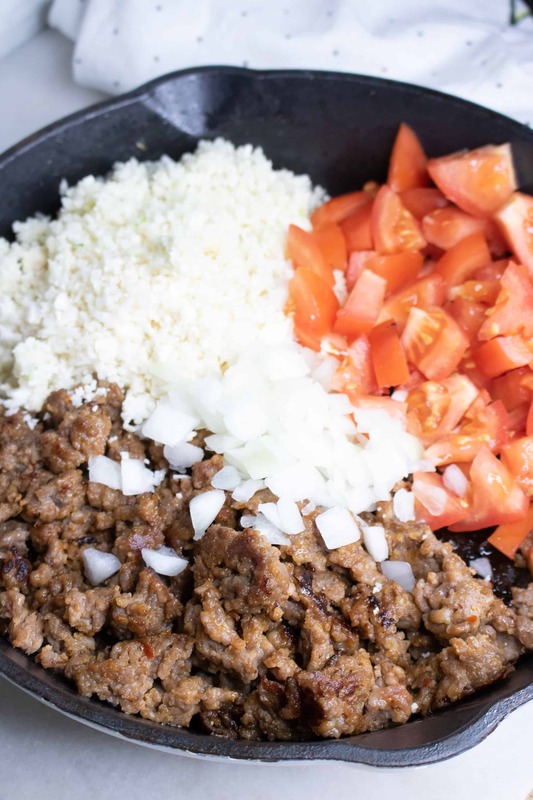 Cauliflower rice is exactly what you think it is! It’s a substitute for traditional rice made from cauliflower. It has no distinct flavor, which makes it the perfect addition to any dish. Plus it has a fluffier texture then traditional rice, making it a little more similar to risotto or couscous. And it’s much healthier, with just 25 calories per cup compared to over 200 calories per cup for white or brown rice. Cauliflower rice can be bought commercially at your local grocery store, or you can easily make it at home. Simply take a large cauliflower head and using a food processor pulse the cauliflower until it’s in small pieces resembling rice. Then sauté the cauliflower for a few minutes until it’s soft. Voila! So no matter what healthy eating plan you’re sticking to, this is a dish than you can happily devour. Step #2: Cook Italian sausage in large skillet over medium heat. Step #3: Add in tomatoes, onion, and cauliflower rice. Step #4: Cook for 4-5 minutes. Step #5: Add in Parmesan cheese and basil leaves. Then turn the heat down to low while preparing peppers. Step #6: Cut tops off of the peppers and remove seeds. 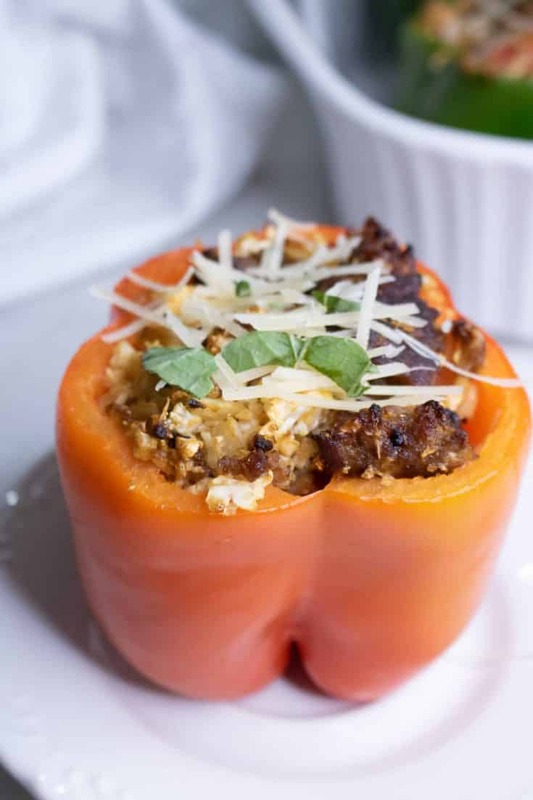 Step #7: Stuff peppers with sausage and cauliflower rice filling, and then bake for 30-40 minutes or until peppers can easily be cut with a fork. 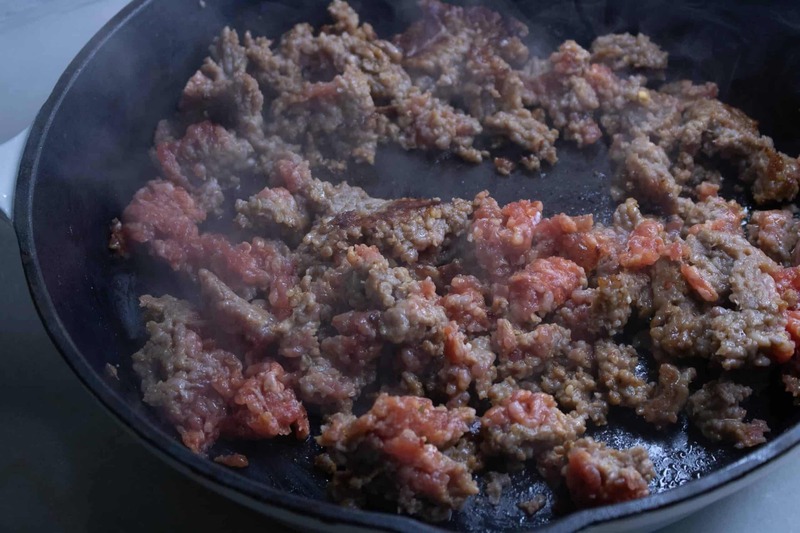 Cook Italian sausage in large skillet over medium heat. 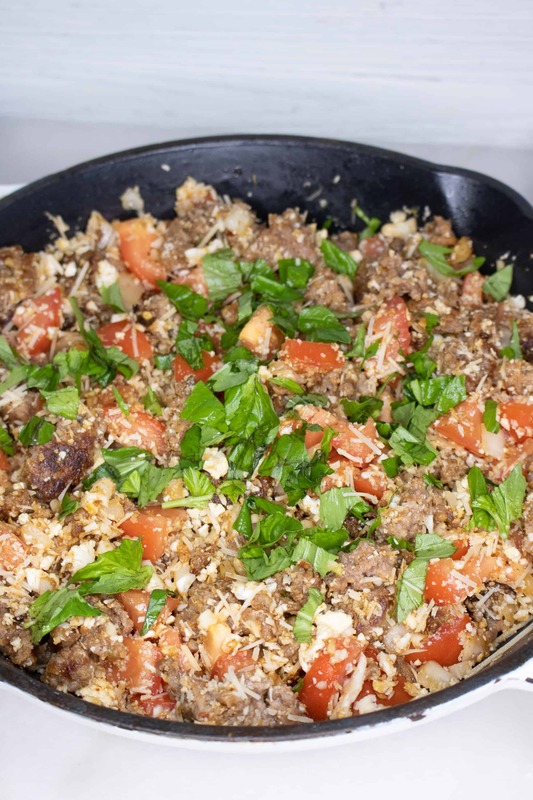 Add in tomatoes, onion, and cauliflower rice. Add in Parmesan cheese and basil leaves. 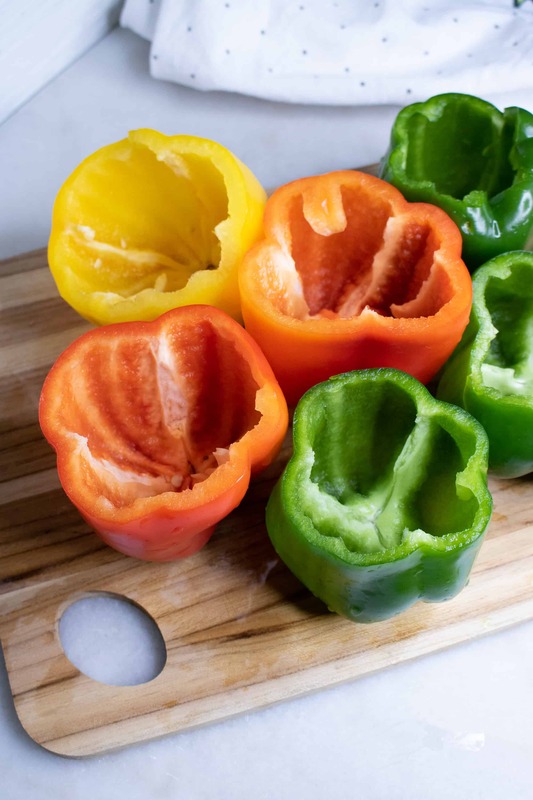 Turn down to low heat while preparing peppers. Cut tops off of the peppers and remove seeds. 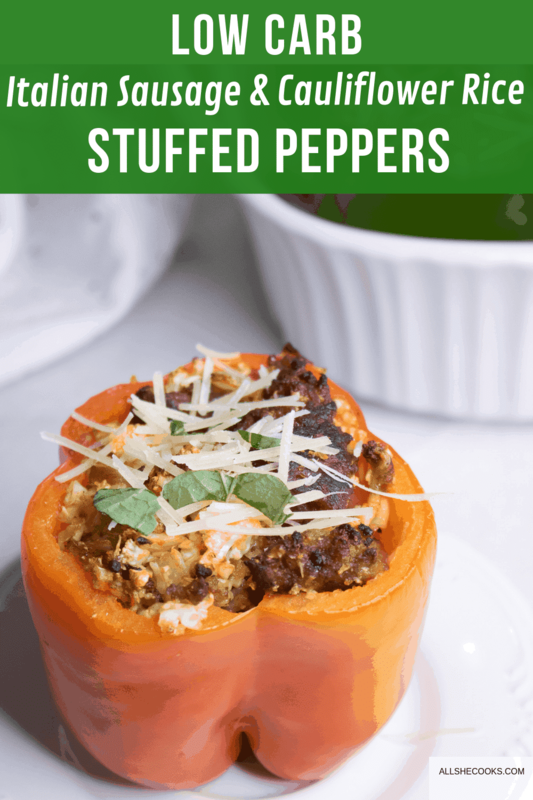 Stuff peppers with sausage and cauliflower rice filling. 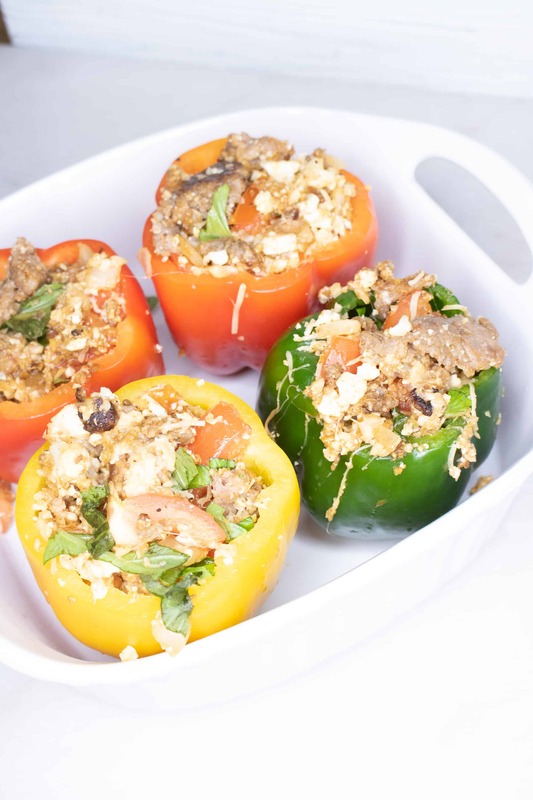 Bake for 30-40 minutes or until peppers can easily be cut with a fork.